Mish's Global Economic Trend Analysis: What Remains of the UK Middle? What Remains of the UK Middle? 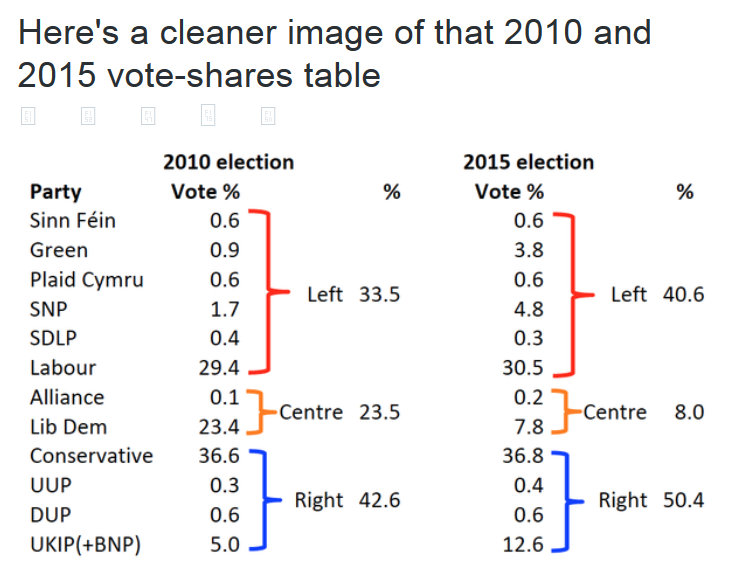 In regards to the UK election, a friend recently commented something along the lines of "this is a victory for the middle" whereas I stated Clean Sweep by UK Conservatives Masks Huge Rifts. 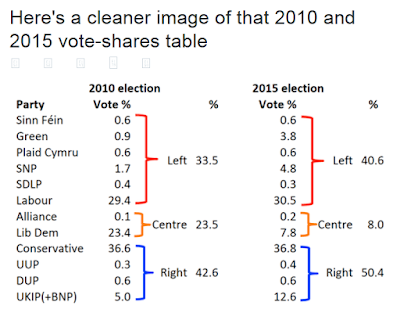 Here's a nice Tweet by Simon Hix that shows a more polarized election. SNP, the Scotland National Party, is just as extreme if not more extreme than the Labour income distribution fruitcakes. The difference is SNP wants out of the UK. Thus, the left went more left albeit with a nationalist twist. UKIP is the third largest party and they want out of the EU. This was a victory for Cameron's election strategy. It was not a victory for the "middle" in any realistic sense. If Cameron keeps his word, an up-down vote on the UK leaving the EU is around the corner.